On Wednesday, November 4 pupils at the Eleanor Palmer Primary School in Camden, London should have the opportunity to speak to an astronaut in space thanks to an Amateur Radio Telebridge link via Australia. The audio will be streamed via the web and Echolink. An International Space Station school contact has been planned with participants at Eleanor Palmer School, London, United Kingdom on Wednesday, November 4. The event is scheduled to begin at approximately 09:51 GMT. It is recommended that you start listening approximately 10 minutes before this time. The duration of the contact is approximately 9 minutes and 30 seconds. The contact will be a telebridge between astronaut Kjell Lindgren KO5MOS, using the callsign NA1SS from the amateur radio station in the ISS Columbus module, and Martin Diggens VK6MJ in Western Australia. The contact should be audible over portions of Australia and adjacent areas. Interested participants are invited to listen in on the 145.800 MHz FM downlink. Audio from this contact will be available via the amateur radio Echolink system on node *AMSAT* (101377) and via the IRLP Node 9010 Discovery Reflector. Eleanor Palmer Primary School, a non-selective community school, is located in central London in the United Kingdom. London is an exciting and dynamic capital city and its schools are the best in the country, attributed to the social and ethnic diversity, excellent local leadership and the quality of teaching. Eleanor Palmer is a relatively small school of around 220 pupils with single classes of 30 children per year. The youngest pupils are 3 years old and the oldest 11 years old. Due to the central London location it is a highly diverse and inclusive school with staff and children from many different backgrounds. The pupils achieve highly as judged by national benchmarks. One of the core aims of the school is to inspire in all pupils a love of learning and the desire to continue to learn and they therefore seek to provide a rich and broad curriculum opening minds and creating opportunities. The school hope that their contact with the ISS will inspire pupils to go on to learn more about space through the study of Science, Technology, Engineering and Math. 1. What have you seen that is more beautiful than earth? 2. Who or what inspired you to choose this job? 3. Does being in space make you feel differently about earth? 4. What can you learn from the ISS that you cannot learn on earth? 5. Will normal people who are not astronauts be able to visit space in the ISS one day? 7. Is it quiet up there in the ISS? 8. When you get back to earth, do you have to re-train your muscles? 9. Can you call home? 10. Do you all have to be scientists? 11. What do you think is the most important things children should know about space? 12. What time zone do you use? 13. Do you have plants on the ISS? 14. What has been your favourite experiment? 15. How does your brain respond to micro gravity? 16. How do you wash your clothes? 17. If you cry in space, with laughter, what happens to your tears? 18. What do you want to do when you come back to earth? 19. How do you get enough oxygen? 20. Is it more scary taking off from earth or returning to earth? 21. What is your energy source on the ISS? 22. What does it feel like to be in space? 23. Is it always dark in space? 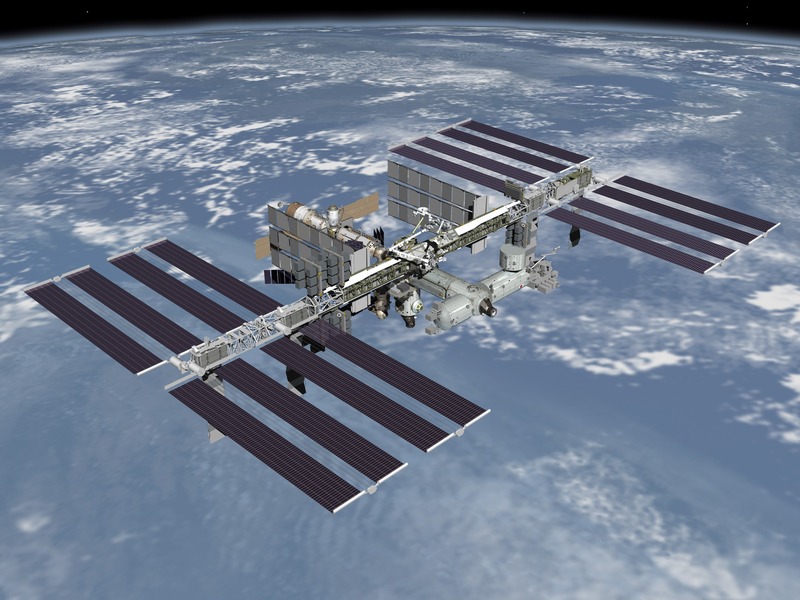 A telebridge contact is where a dedicated ARISS amateur radio ground station, located somewhere in the world, establishes the radio link with the ISS. Voice communications between the students and the astronauts are then patched over regular telephone lines.